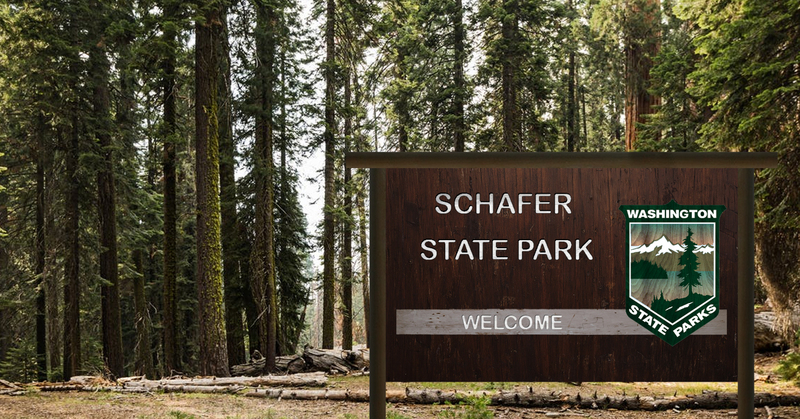 Washington State Parks – Washington State Parks is holding a series of public meetings to provide information and get feedback on plans for major capital improvements at Schafer State Park. A second meeting will be scheduled in winter 2019 to present a preliminary recommendation for public review. Campground relocation. The campground’s current location is adjacent to the Satsop River, and each rainy season much of it is subject to flooding. State Parks would like to move the campground to higher ground to prevent further damage and provide a better experience for visitors. Potentially build a new welcome center. A new visitor-contact building, sited on higher ground, would replace the current building located in the campground. Improve roads and parking. In addition to providing vehicular access to the new campground and welcome center, State Parks plans to relocate existing parking that’s too close to the river to higher ground. Restore habitat on the bank of the Satsop River in the vicinity of the current campground. Each time the river floods the campground, repairs need to be made that include adding gravel and non-native materials, which are not ideal for habitat. At the meeting, participants will be presented with park facility conceptual design options by J.A. Brennan Associates of Seattle. Parks staff is asking the public to review these options and provide comments. State Parks has funding in the current biennium budget to plan, design and pursue permits for these improvements. The agency is requesting funding for construction in the 2019 – 2021 biennium. State Parks says flooding at Schafer State Park’s campground is common during the rainy season, due to the proximity of the campground to the Satsop River.